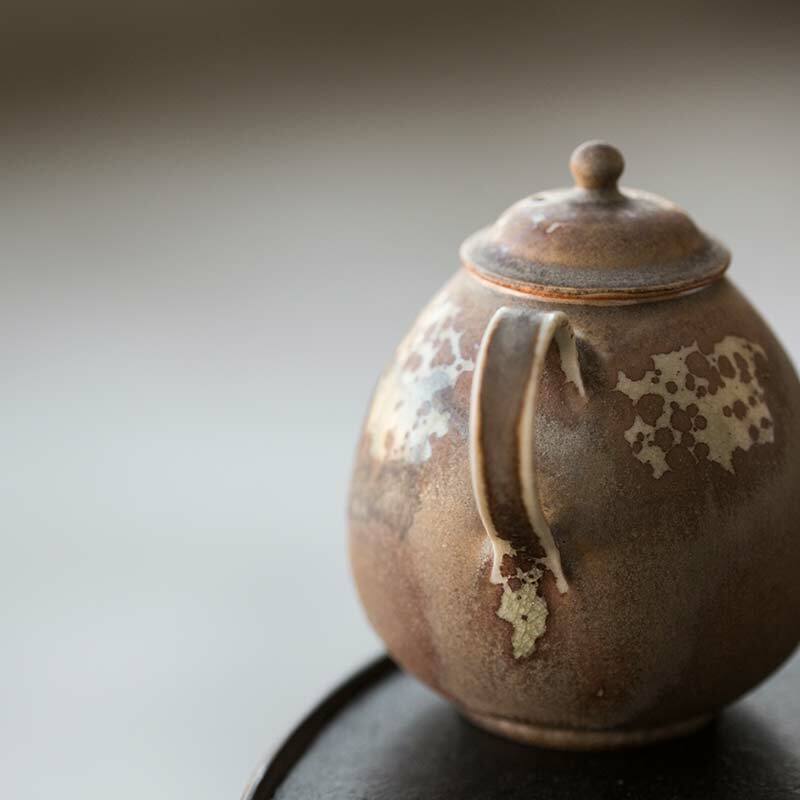 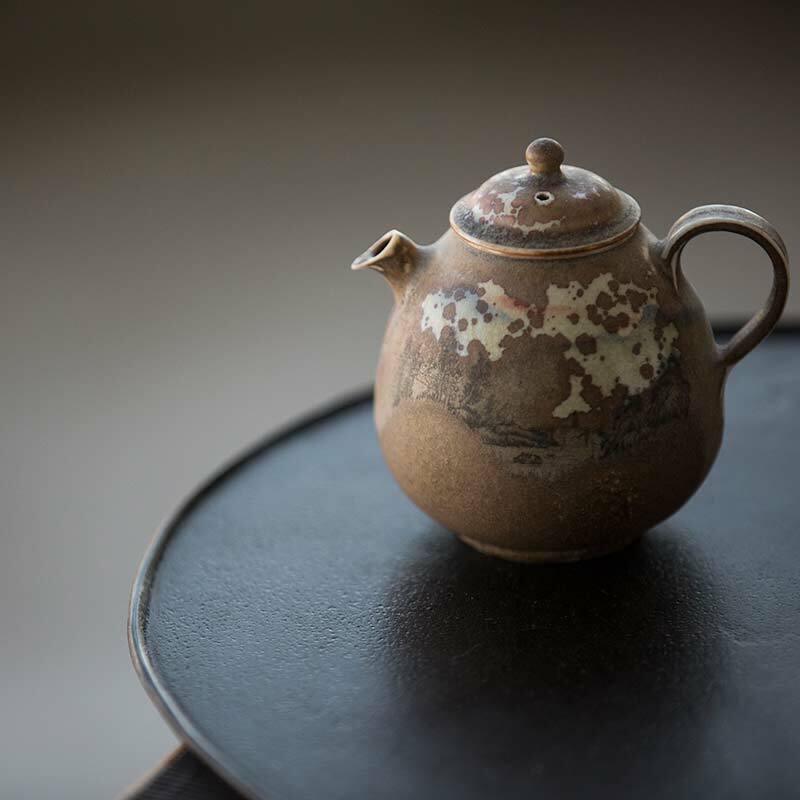 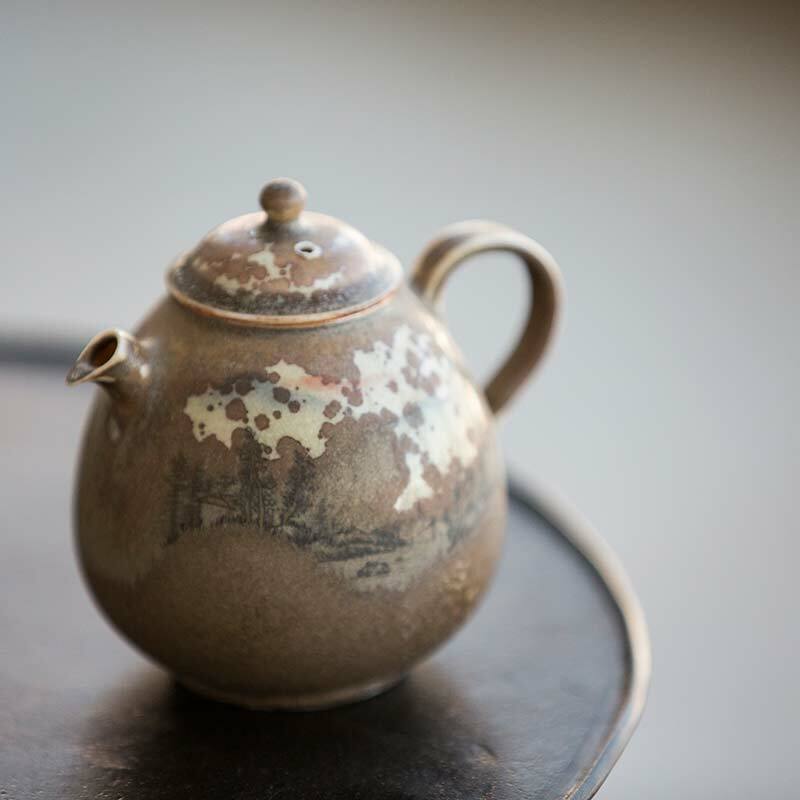 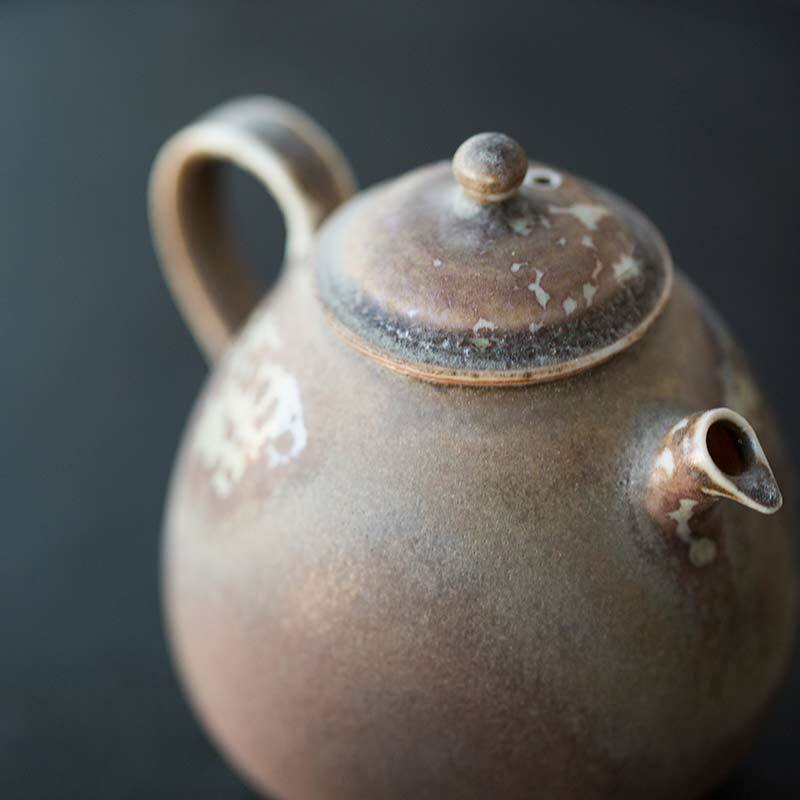 This series combines some of our personal favourite teapots from the studio that produces our 1001 series wares with Jingdezhen’s most cherised handpained work, as seen on our Vignette series teacups. 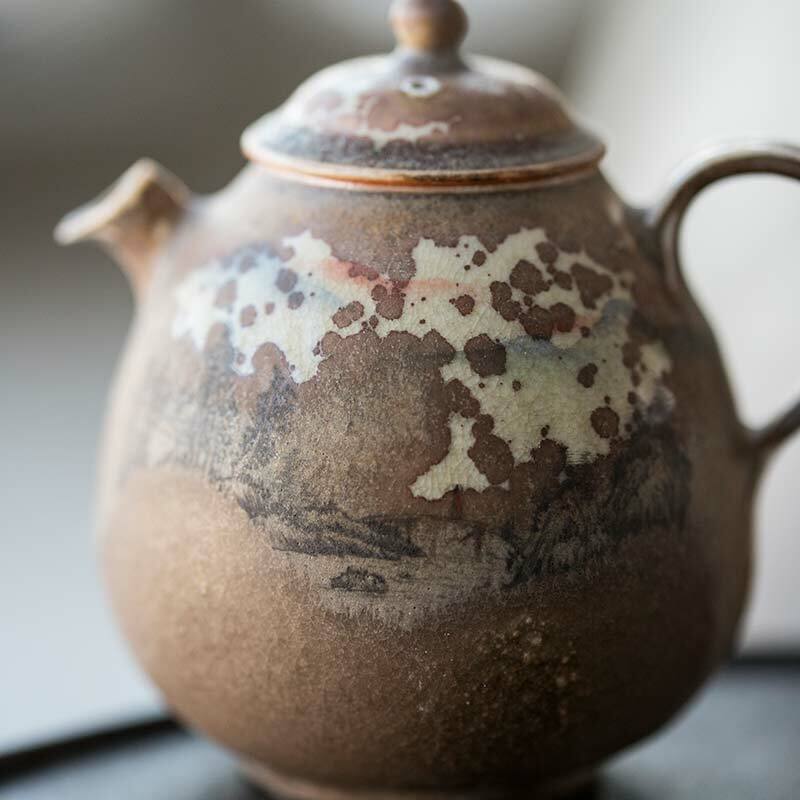 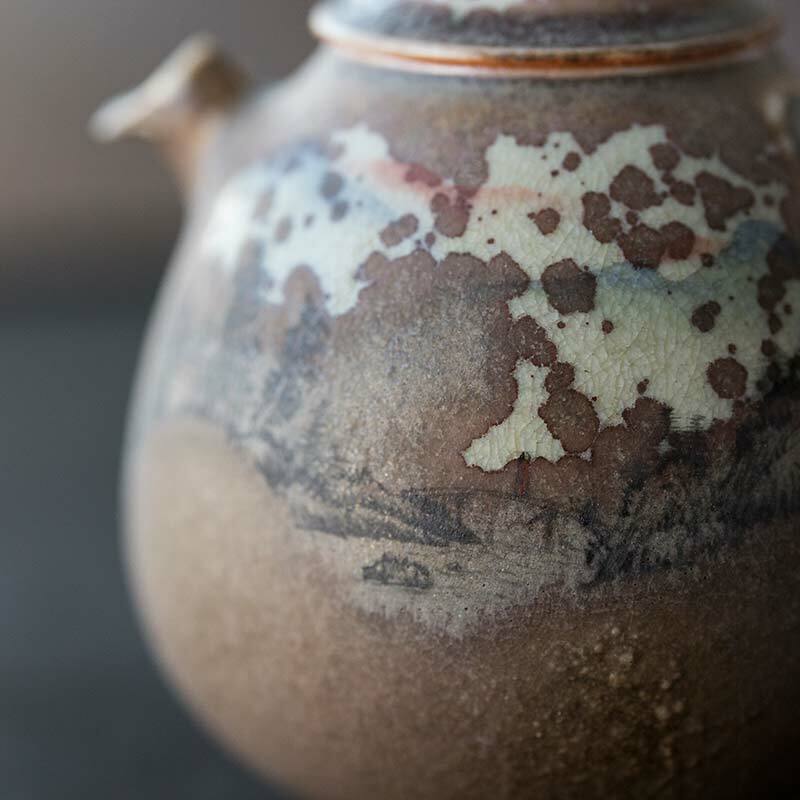 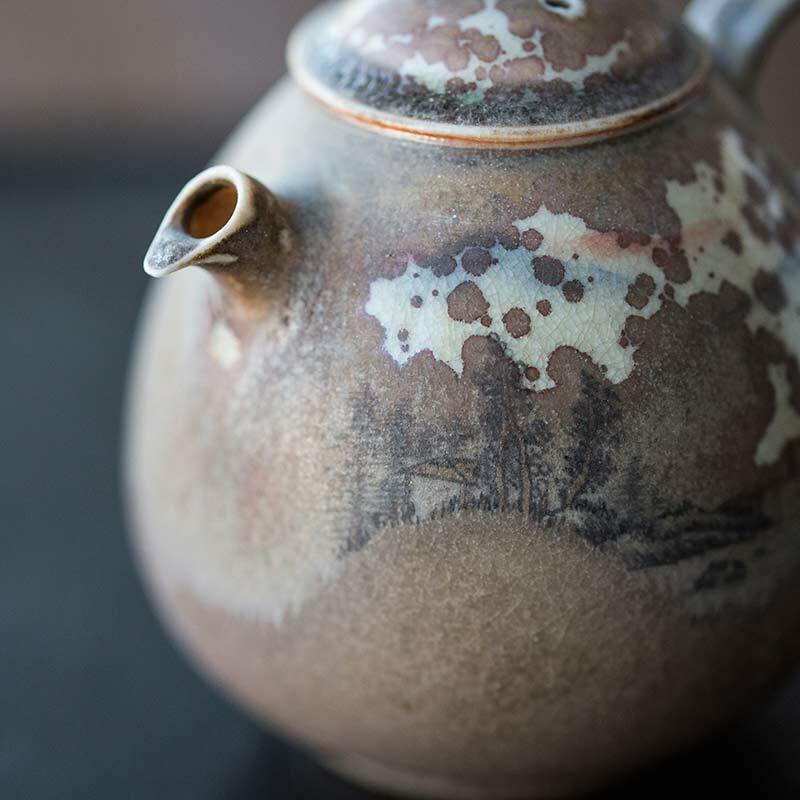 A one of a kind combination of firing results and unique illustration, this pot features a rustic faded glaze with a handpainted mountain scene. 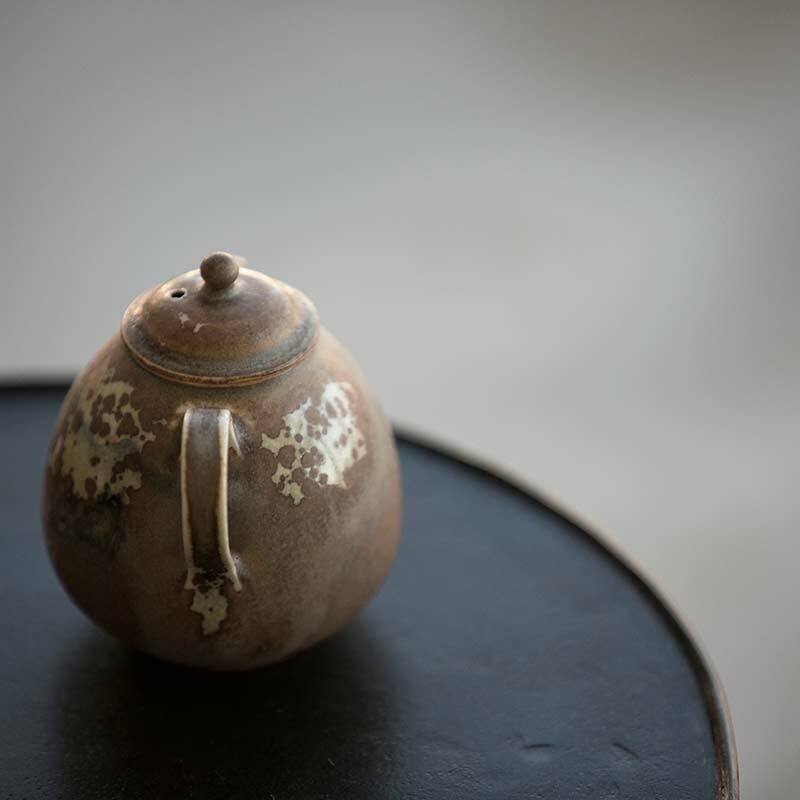 This teapot features a large 21 hole ball filter, holds approximately 195ml of liquid and pours empty in approximately 10 seconds.